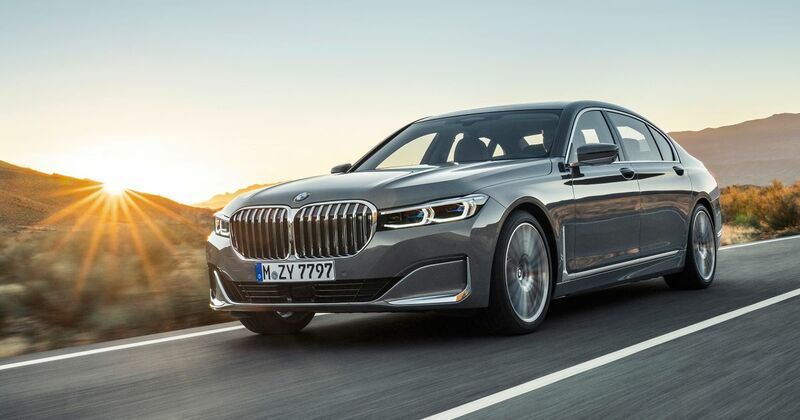 Here is the new, facelifted and updated 7-series uber-saloon from BMW, not that you’re likely to miss it. 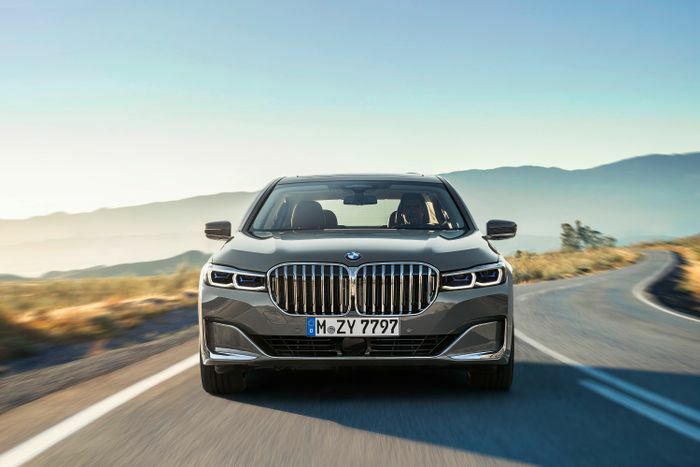 It’s the Munich brand’s traditional flagship and, with the likes of the Vision iNext concept due to take over the top spot in the 2020s, it could be the last 7er to be presented as the best car BMW makes. So it’s making a statement. We can’t continue without addressing the 40 per cent larger elephant in the room: that X7-inspired grille, mounted on a nose that’s 50mm taller at the very front. Designed, essentially, to make you look at it and think ‘BMW’, it now dominates the front of the car between lightly revised and slim LED headlight clusters. The BMW badge above the grille is now bigger as well. Laserlight technology with Selective Beam, where parts of the beam are deactivated to maintain high beam without dazzling oncoming traffic, is optional and the mere tip of the technological iceberg that is the new 7. There’s new sound insulation in the rear wheel arches to make it quieter for passengers than ever. The side glass is now fully laminated and 5.1mm thick, again making the passenger cell quieter. Various bodywork revisions have improved aerodynamics, including with newly designed breather vents behind the front wheels. Adaptive air suspension is standard on the 22mm longer new car, which is still yours in standard and long wheelbases. While enjoying the air springs’ comfort, occupants can relax on new Nappa leathers with even more quilting than before. There’s ‘fine wood’ trim and a leather multi-function steering wheel. In the back, there are more or less equal helpings of cow and legroom. You’re not likely to feel short-changed for space unless you’re a giraffe. 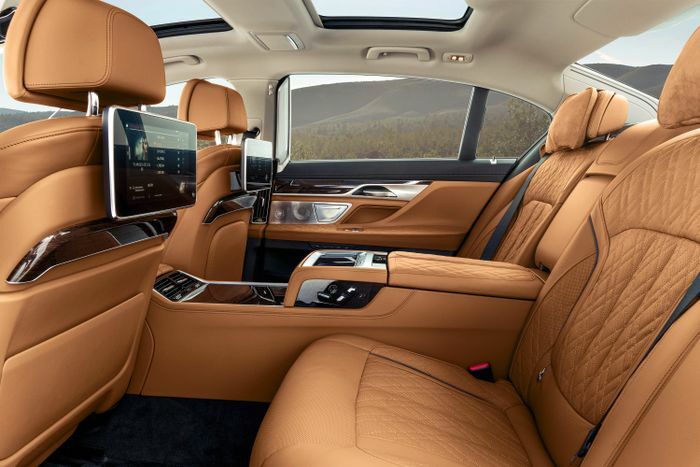 Media screens fixed to the backs of the front seats allow myriad means of enjoying entertainment, settings adjustments and communications for the VIPs in the back. As for engines it’s more or less as-you-were, with some improvements. 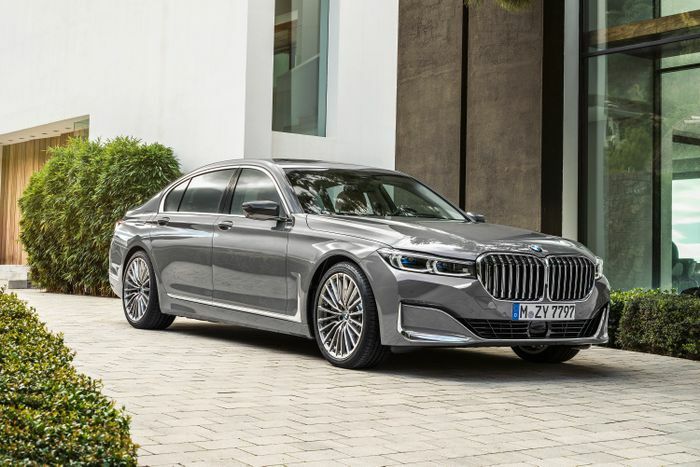 The standard-bearer is a 6.6-litre twin-turbo V12 in the M760Li xDrive, punching out 577bhp and 626lb ft. It’s good for a very limited 155mph and 0-62mph in 4.1 seconds. The twin-turbo V8 in the 750i xDrive has been bumped up to 523bhp and 553lb ft. Most 7s sold in Europe will be diesel, though, and there are three based on the same 3.0-litre straight-six. 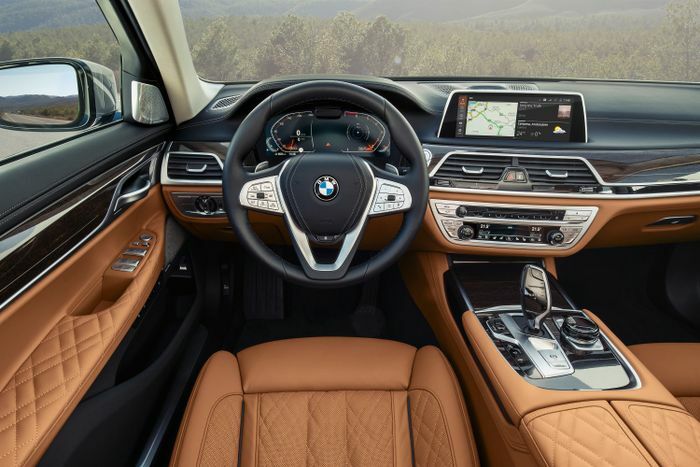 The base 730d models (rear-wheel drive, xDrive and long-wheelbase xDrive) have one turbo and muster 260bhp and 457lb ft.
Add a second snail and you get the 740d xDrive and 740Ld xDrive, with 316bhp and 501lb ft. The final option is the 750d xDrive, which again has a longer sibling. 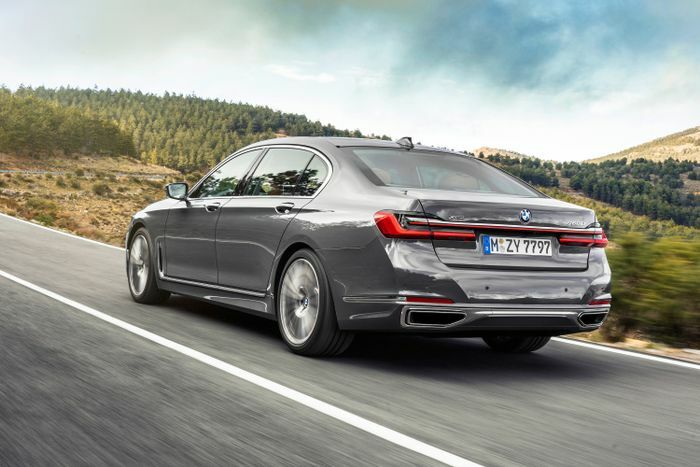 These feature four turbos attached to the straight-six and deliver 393bhp and 560lb ft.
A plug-in hybrid option now has up to 36 miles of electric driving range in the 745e and 745Le. An xDrive version is coming later. It can’t be specified with Integral Active Steering, which comprises the variable-ratio rack and rear-wheel steering, but that’s a sacrifice made worthwhile by the improved fuel economy potential in urban settings.